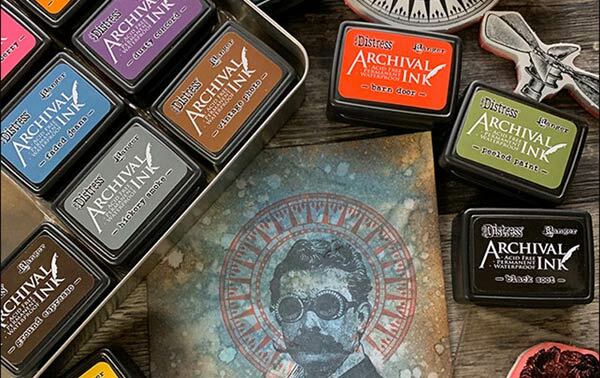 These ink pads are classic, Ranger waterproof dye inks (not pigment inks), but now in the Tim Holtz Distress color palette. Permanent dye ink is great for working with rubber stamps (you can paint or use wet media over the stamped image and the ink won't run). Nice, small 1-1/4" x 1-3/4" size. Easy to store or carry around (and can also be stored in the Mini Ink Pad Storage Tin - linked below). Colors in this set: Peeled Paint, Mermaid Lagoon, Faded Jeans, and Dusty Concord.